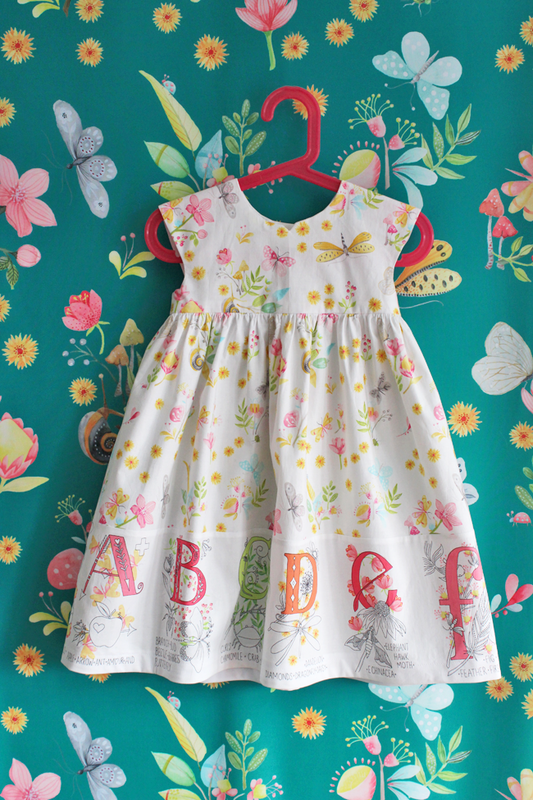 making it fun: ABC Nature Walk Sewing Challenge brought to you by Tamara Kate! 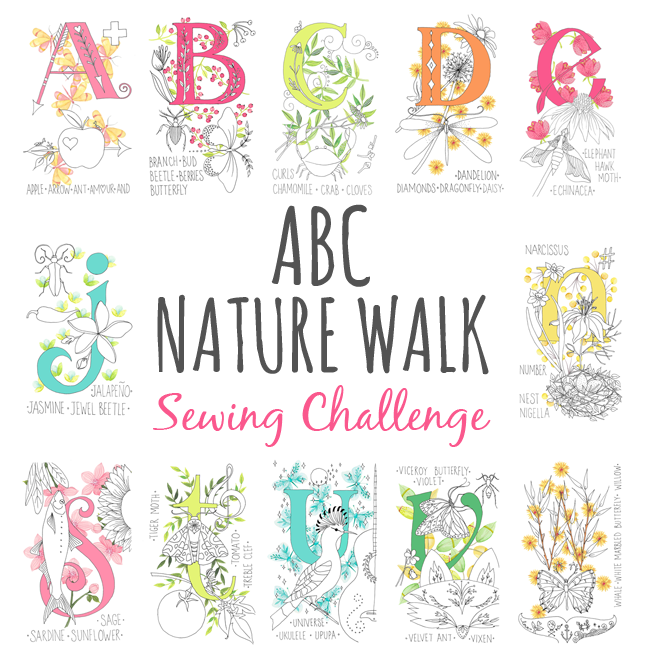 ABC Nature Walk Sewing Challenge brought to you by Tamara Kate! Happy 2016 everyone! I’m delighted to be with you today to share a bit about my new collection with Michael Miller, NATURE WALK and to offer up a sewing challenge. First up, a brief introduction to the collection, which was a major step to me getting back to working with watercolor and pen & ink, something I haven’t done since I designed Flight Patterns. Nature Walk is a look into all the discoveries we make on my family’s weekly wanderings… From butterflies and snails to flowers, birds and bunnies and all the flora and fauna in between. The collection is divided between the pretty, soft CLOUD color story and the cooler MINERAL story, but they play well together due to many touches of colors that cross over from one grouping to the other. 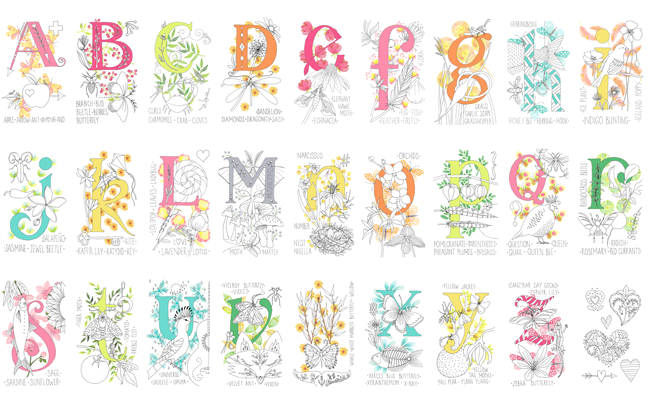 But what I really wanted to focus on today is the alphabet panel print, “ABC Nature Walk”. 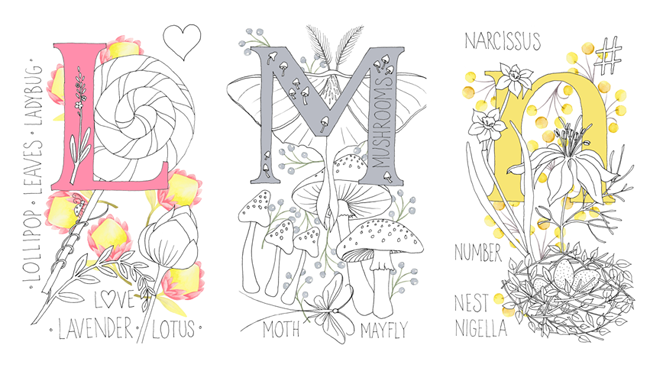 Working on a letter a day for a month, I scoured high and low for nature elements that start with each letter of the alphabet (it was surprising which letters were the trickiest, like I and U). I wanted the resulting panel to appeal to the little ones we love to sew for, offering a visual treasure hunt, while keeping it educational. Hence they can get their first look at yellow-tail moths, garlic scapes, a jewel beetle and a vixen, to name but a few. The panel, which runs the width of the fabric, measuring 45” x 24” high, is really versatile in terms of its uses. 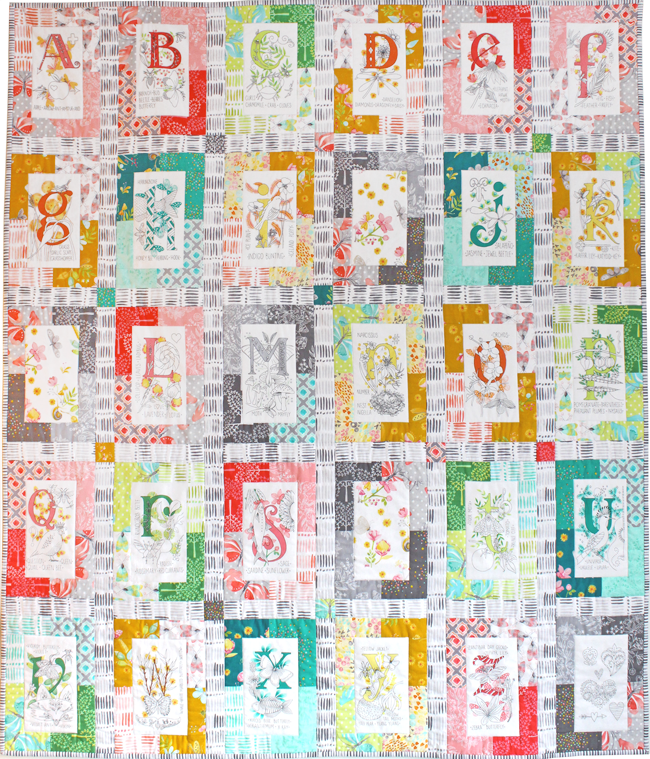 Imagine fussy cutting the individual letters for use in a quilt or to spell a favorite inspirational word or child’s name on a pillow. 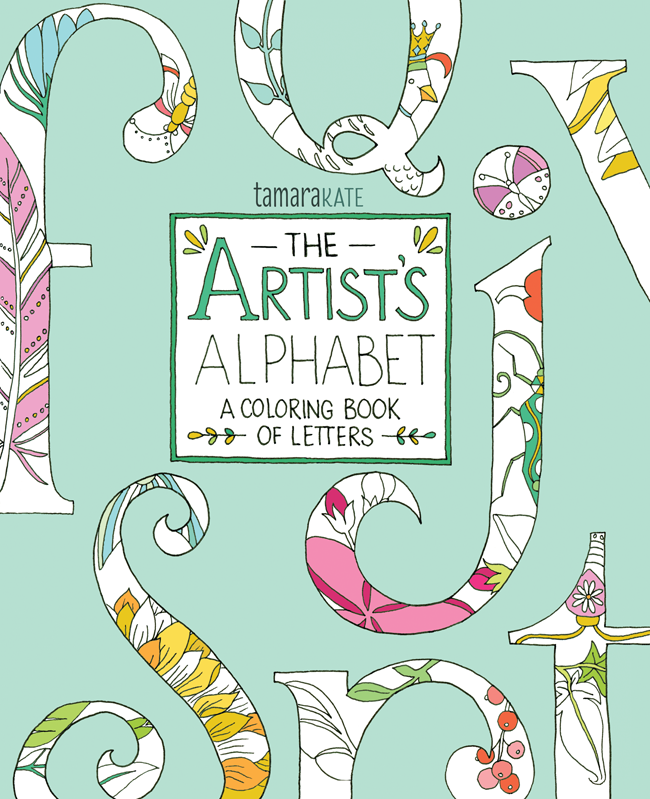 Embroider (or color, or paint) elements of a letter that can then be used on a tote bag, pillow, etc. Add a strip of it to the bottom of a skirt or dress. 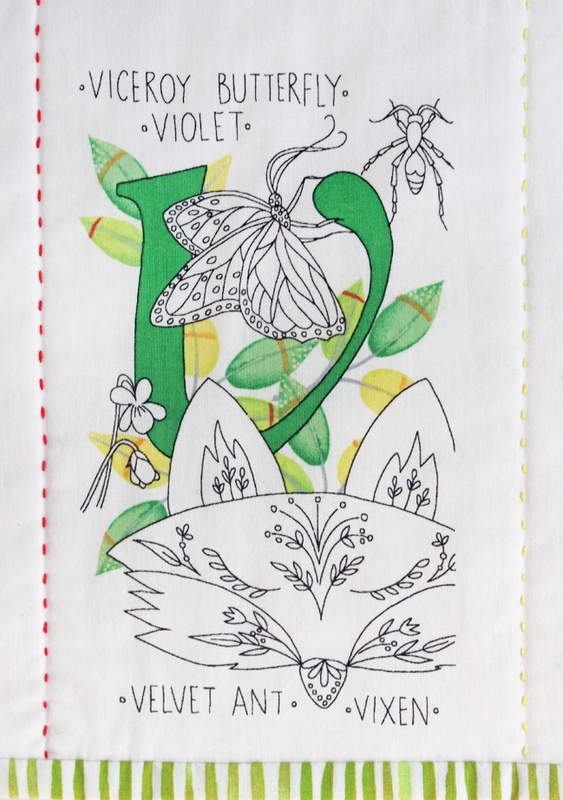 Or, what may be my favorite project, use the panel as-is to create a wall hanging for a child’s room. It’s really simple… Just make a quilt sandwich with the 24” panel, quilt batting and a backing fabric of your choice. Mark the lines that divide the letters using a hera marker or some other such tool (The lines should be spaced exactly 4¾” horizontally and 8” vertically). 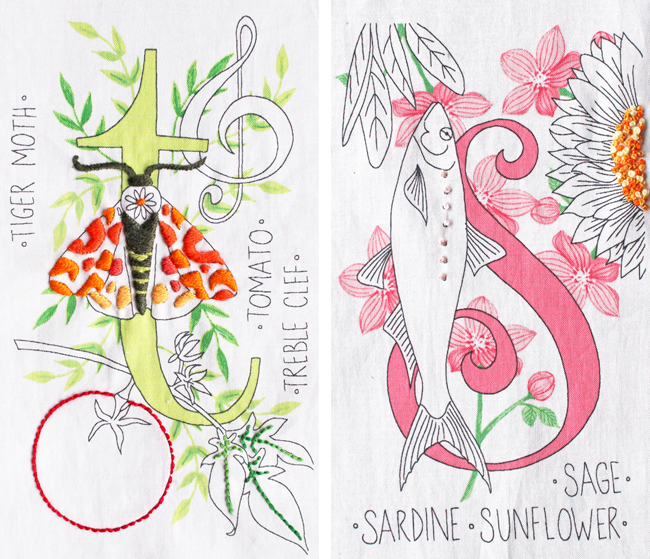 Using embroidery floss, quilt a running stitch along each line, edge to edge. And the final step, bind the edges (my favorite binding fabric from this collection is Tall Grass, available in four different colors). It’s a satisfying one- or two-evening project that has great impact when completed. And now for the Challenge! We would love to see what creative ideas you might have for using ABC Nature Walk. 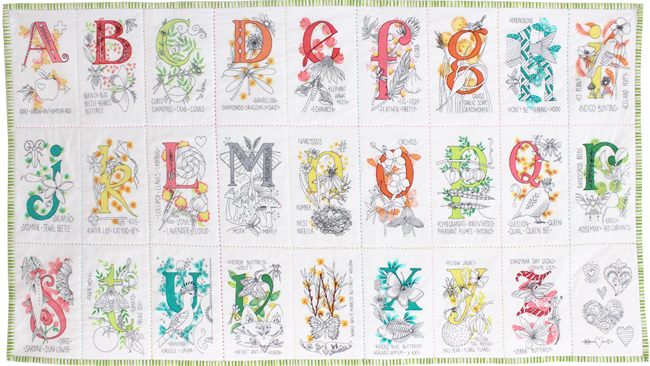 So, our challenge to all you amazing sewers is to make your own project using this alphabet panel. And, there will certainly be prizes! - You must use part, or all, of the ABC Nature Walk panel in your project. Optional other fabrics that can be incorporated are other fabrics from the Nature Walk collection and Cotton Couture solids. - Create anything wonderful you can imagine up. The sky is the limit! - Post photos of your finished project to instagram and/or facebook using the hashtag #naturewalksewingchallenge and be sure to tag @michaelmillerfabrics and @tamarakatedesign. Beautiful photos are a plus. - The deadline to enter photos of your completed project is February 29th at midnight. Oh, and please come take a closer peek at what I’m up to on a regular basis, whether on my blog, Instagram or Facebook. CLICK HERE FOR A LIST OF STORES THAT CARRY NATURE WALK!! That is SO beautiful! Congrats on this collection... Just lovely! And you have some really amazing projects already! I might have to make something for your challenge, looks fun! Nature Walk looks so delicate and beautiful. Do you have any stockists in Australia? Love this ABC panel, won't be able to make the time frame for the challenge, but can't wait to see what others make. 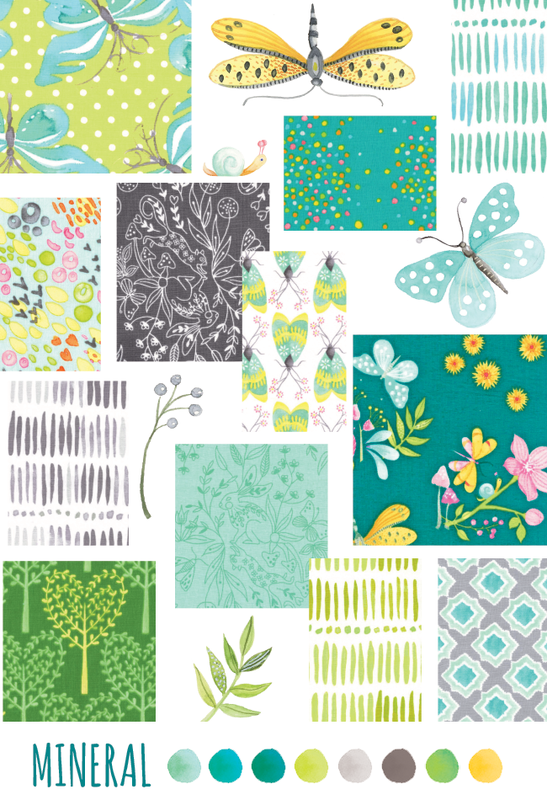 Your fabric line is beautiful and is my current favorite. My grandson (age 6) happened to see it and he loves it too. I featured your Sewing Challenge in a blog post here, http://quilting.craftgossip.com/panel-sewing-challenge-abc-nature-walk/2016/02/03/. I cannot wait to see what sewers come up with; hope many enter. 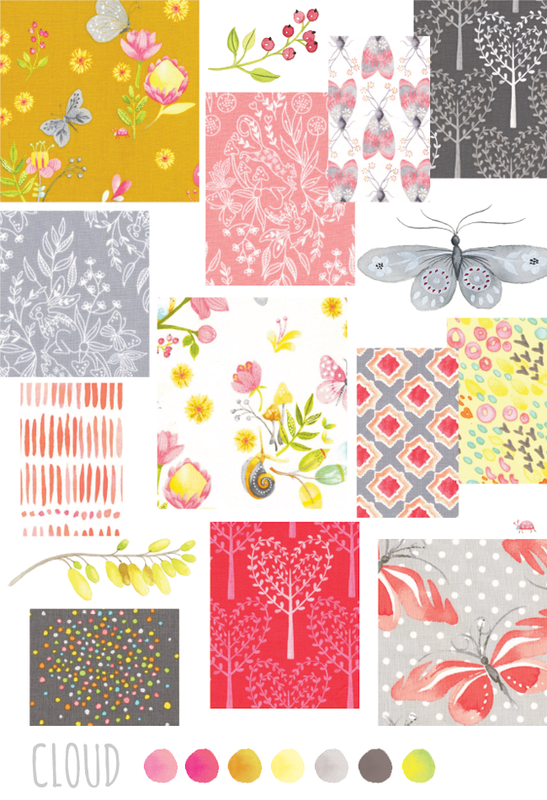 Ok I had ordered some to make a baby quilt--- this could be my motivation to get working!!!! Absolutely love the fabrics- I saw them on Hawthorne Thread and snapped some up last week.